Taking a close look at the dense fabric that our government weaves between war, state power, and economics, this collection of essays reveals the growing authority—and corruption—of the American state. Covering topics from the Lyndon Johnson presidency to the provocatively titled article “Military-Economic Fascism” on the military-industrial-congressional complex, it argues that the U.S. government consistently exploits national crises and then invents timely rhetoric that limits the rights and liberties of all citizens for the benefit of the few, be they political leaders or various industrialists in the areas of defense and security. As its title suggests, this book presents a clear narrative of trends and events—from the United States’ entry into World War II to the origins of income tax—causing individuals to question whether those in power are truly blind to the effects and causes of their policies. 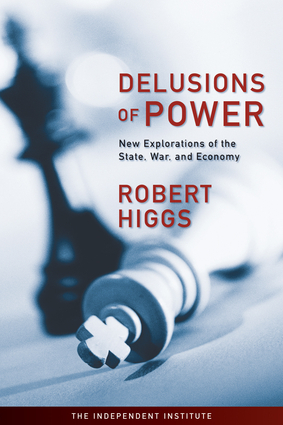 Robert Higgs is senior fellow in political economy for the Independent Institute and the editor of the Institute’s quarterly journal, the Independent Review. He is also the author of several books, including Against Leviathan, Competition and Coercion, Neither Liberty Nor Safety, Resurgence of the Warfare State, and The Transformation of the American Economy 1865–1914, and the recipient of numerous awards, such as the Gary Schlarbaum Award for Lifetime Defense of Liberty and the Lysander Spooner Award for Advancing the Literature of Liberty. He lives in Covington, Louisiana.